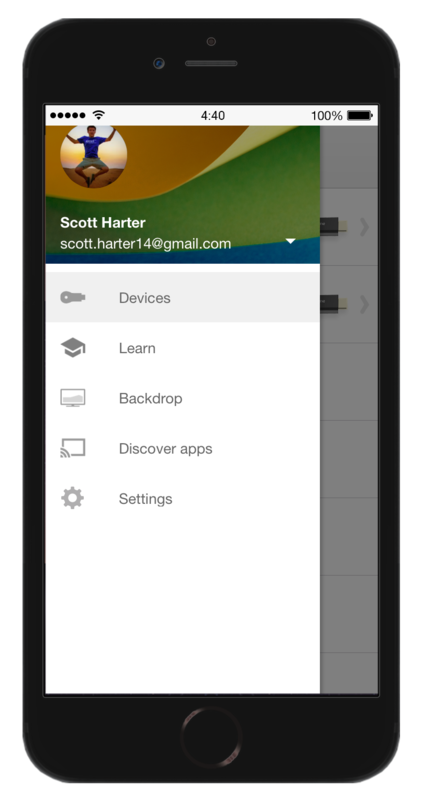 To customize your Chromecast, open the Chromecast app on your phone or tablet and select “Backdrop” from the left menu. Then, choose the topics for types of imagery you want to show up on the TV. This update is rolling out starting today. 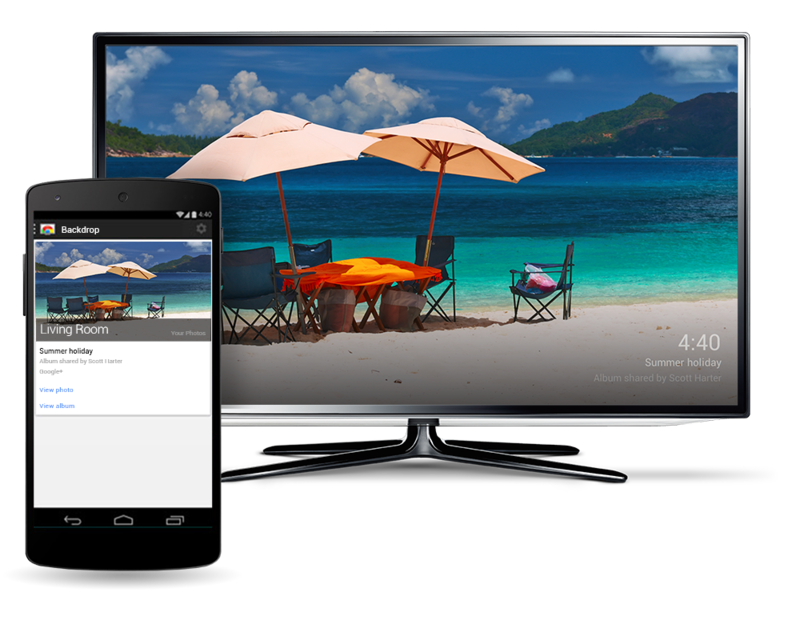 Just make sure your Chromecast app is up to date on your Android phone or tablet, iPhone, or iPad. 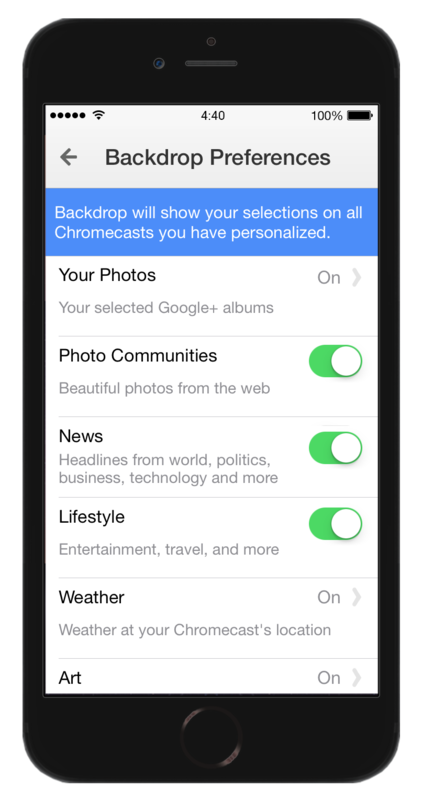 To learn more on how to set it up, visit chromecast.com/backdrop. You’ve told us you love the photography that shows up on your TV when you’re taking a break from casting videos with Chromecast. But many of you have also told us you want to add your own photos on the screen. Now, you can.